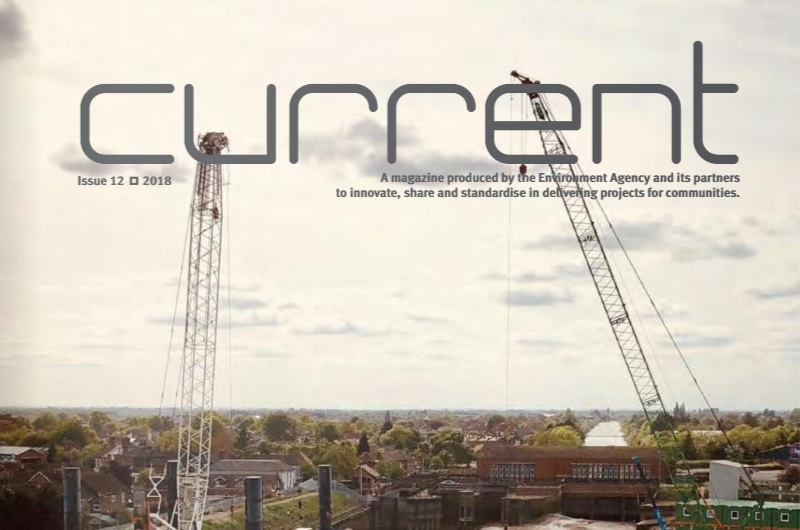 The November 2018 edition features an interview with James Bevan, Chief Executive of the Environment Agency, who discusses climate change and engineering. Phil Ramsay, Team Van Oord’s National Framework Manager, collecting a SHEW Excellent Behaviour award. An interview with Tony Camilleri, managing director of TVO partner Mackley, about the use of tropical hardwood timber in the Herne Bay Coast Protection Works. The November edition also includes articles focusing on innovation, building information modelling (BIM), programming and safety, health, environment and wellbeing (SHE&W). “We are halfway through the current six-year flood risk capital programme and I am delighted that, through our collective focus, we are more confident that we can meet our 300,000 homes better protected targets.